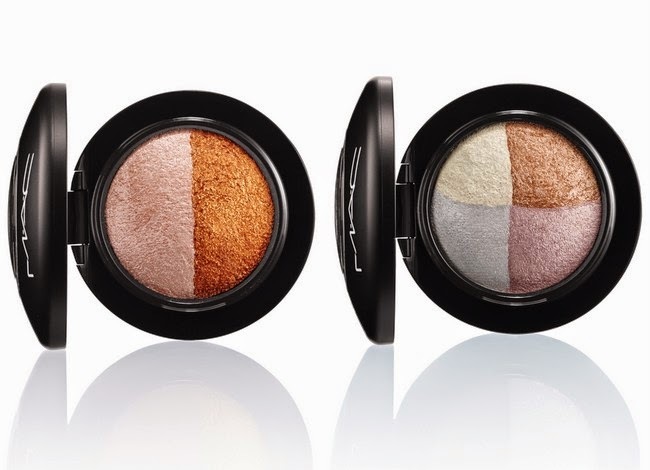 There is a whole pile of awesome coming down the line from MAC over the next few months; on some of it, I’ve been sworn to secrecy, but I can tell you about these beauties because they’re landing on counter TODAY. 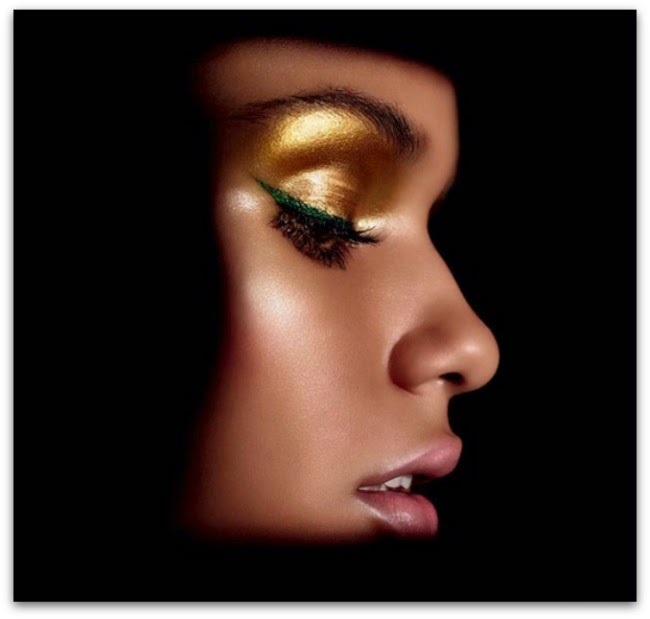 MAC’s Mineralize range is one of my favourite offerings from the brand: the moisture foundation is on my face right now; the lippies are seriously luscious and luxe, and the eyeshadows are so purty that they set my heart aflutter every time – you can check out my favourite here. Or perhaps that should be previous fave, because as of today, it’s got some serious competition. The whole range has been revamped, with new shades added to all lines. For eyes, the single shadows are joined by brand new Mineralize duos and pinwheels (with four colours), in seductively shimmering shades from petal pinks and rich browns to bronzes, golds and plums. 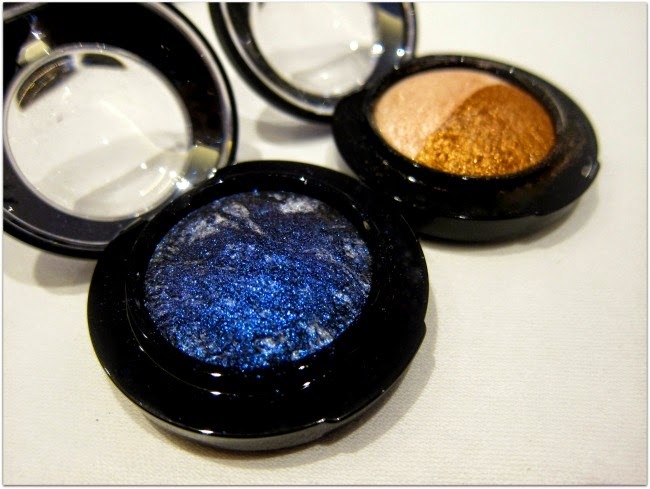 The two newbies above, Brilliant Brunch (left) and Spiced Metal (featured in my pics too) most fill me with The Want; Ever Amethyst is also gorgeous and Temptalia (obvs) has swatches. But there’s buckets of choice, with a total of 5 singles, 5 duos and a whopping 9 pinwheels to drool over, so your best bet is to get thee to a counter for a swatchfest - stat! And, for fellow fans of the Mineralize range, the good news keeps on coming: not only are new cheek and lips colours on counter too, this very day, but a brand new Mineralize Multi Effect Lash mascara joins the gang on August 21st. At a conservative estimate, I own about 8 million mascaras but I’m still genuinely excited about this launch. 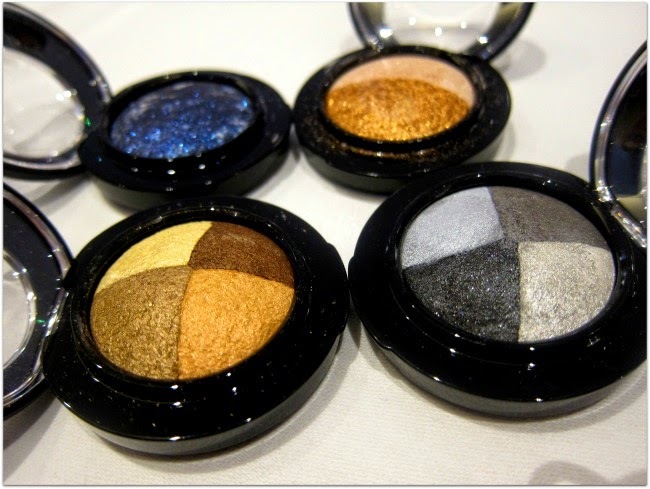 MAC Mineralize singles, duos and pinwheels are all priced at €22.50 – are you tempted?